Why Did Warren Buffett Buy DirecTV? DirecTV (DTV) provides digital television entertainment mainly through satellite to residential and commercial subscribers. The company operates in two segments: DirecTV US and DirecTV Latin America. It seems that DTV is one of the most popular media stocks among hedge funds tracked by us. At the end of the fourth quarter, there were 35 hedge funds with DTV positions in their 13F portfolios, versus 31 for Time Warner Cable Inc (TWC) and 39 for Comcast Corporation (CMCSA). Although there were more hedge funds with CMCSA positions, the total value they held was less than that of DTV. Thirty-three hedge funds invested $3.2 billion in total in DTV (31 billion market cap), versus $1.0 billion for CMCSA (79 billion market cap) and $0.9 billion in TWC ($25 billion market cap). Over the fourth quarter, billionaire Warren Buffett increased his position in DTV by nearly 400%. 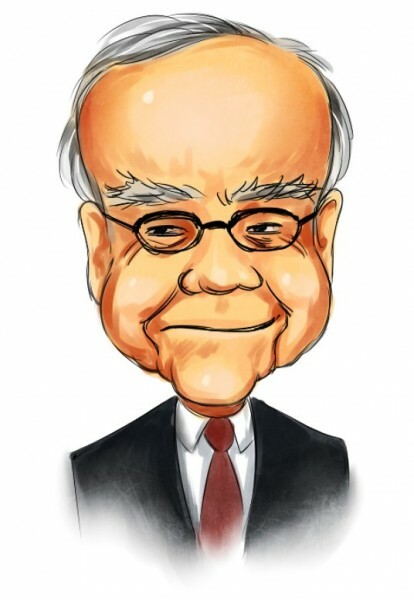 His Berkshire Hathaway reported owning $870 million worth of DTV shares at the end of 2011. Roberto Mignone’s Bridger Management also had $82 million invested in this stock. In the following paragraphs, we are going to take a closer look at DTV and explain why Warren Buffett loves this stock. As we mentioned at the beginning of this article, DTV operates in both US and Latin America. For the fourth quarter of 2011, DTV US reported results that were in line with analysts’ expectation, and DTV LatAm again reported strong results. DTV US’s fourth-quarter 2011 revenue was about $6.0 billion, up about 9% from the same quarter of 2010. There were about 125,000 new subscribers to DTV in US, a bit lower than the consensus expectations of 176,000. The fourth-quarter revenue in Latin America was $1.4 billion, up 33% on a year-over-year basis. The number of subscribers to DTV in Latin America also increased rapidly in Latin America. Over the fourth quarter, there were 590,000 new subscribers, beating the analysts’ estimation of 547,000. As of December 31, 2011, the number of total subscribers in US is about 20 million and there are 7.9 million subscribers in Latin America. This makes DTV the largest satellite broadcaster in the US and Latin America. Compared with its businesses in Latin America, DTV’s US business does not look very promising. Most Latin American countries do not have alternatives to satellite because they have little infrastructure for cable or fiber to be laid. That’s why cable companies have a huge disadvantage in Latin America, while DTV is able to increase its market shares easily in those countries. The subscriber growth of DTV LatAm is primarily attributable to the growing demand in Brazil, Argentina, and Venezuela. DTV LatAm also has churn of 1.65% in the fourth quarter, up 110bps from the same quarter last year. The higher churn is also mainly driven by Brazil and Venezuela. On the other hand, in US, DTV mainly focuses on high-end customers with little churn (Subscribers’ churn of DTV US has been staying around 1.5% over the past few years). We think the main reason for the weakness in new US subscribers is the company’s shift in strategy towards customer retention from customer acquisition. During a recent conference call, DTV announced that it has been refocusing its customer management strategy in the US by increasingly focusing on retaining US subscribers rather than on acquiring new ones. We think the strategy is mature and competitive, but it still has certain risks. It seems that the economics of the US business will shift over the next several years. Retention costs may be much higher than expected and DTV’s profit margins in US may shrink. DTV’s strong business in Latin America is one of the reasons that hedge funds like it. We think another reason is that it has low valuation levels. DTV has a current P/E ratio of 13.16, versus 18.5 for the average of the Media industry. Its forward P/E ratio of 8.54 is also lower than the 17.02 for its peers. For example, TWC has a current P/E ratio of about 16 and its forward P/E ratio is around 12. CMCSA also has a P/E ratio of 19 and a forward P/E ratio of 13.6. DTV’s earnings are expected to grow at 14.61% per year over the next couple of years, according to Zacks. But it seems that such high growth expectation has not been reflected in DTV’s price yet as its P/E ratio is still relatively low. Moreover, DTV is actually even cheaper than its P/E ratio indicates. The company counts its subscriber acquisition costs against earnings rather than classifying it as discretionary CAPEX that provides revenues over a long period of time. The stock’s expected 2012 free cash flow yield is around 10%. Double digit cash flow yield and double digit growth. We like what we see. Investors are hesitant to buy stocks after the huge rally over the last 5 months but we think DTV is still attractively priced. Warren Buffett likes the stock. Fellow billionaires George Soros and Jim Simons also have positions in the stock (see George Soros’ stock picks). We think this stock may go up by 40% over the next 24 months.